2018 Land Pride BB0548 for sale in Norfolk, NE. Dinkel Implement Co. 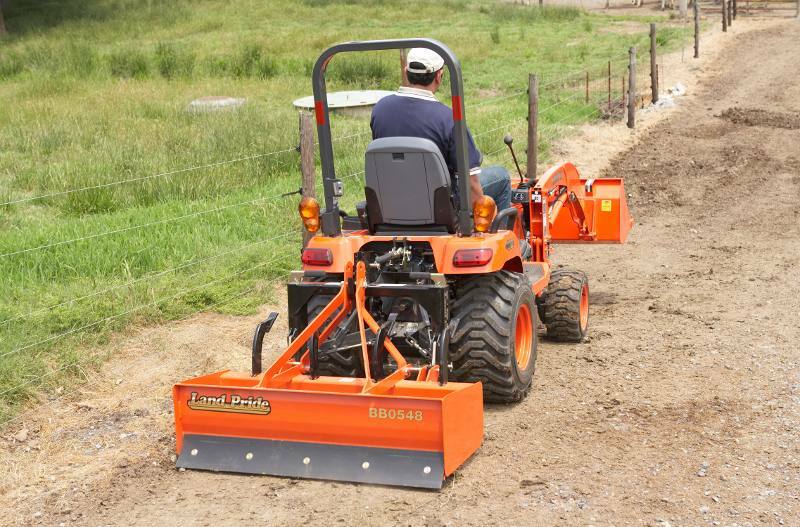 The Land Pride BB05 Series Fixed Bar Box Scrapers are designed for Category 0, 1, and 1 limited 3-point hitch mounting to subcompact tractors. The 05 Series Box Scrapers are ideal for light-duty ripping, leveling, finish grading, and backfilling applications at small feedlots, outdoor arenas, building sites, and maintenance operations on small farms and home owner lanes and roadways. 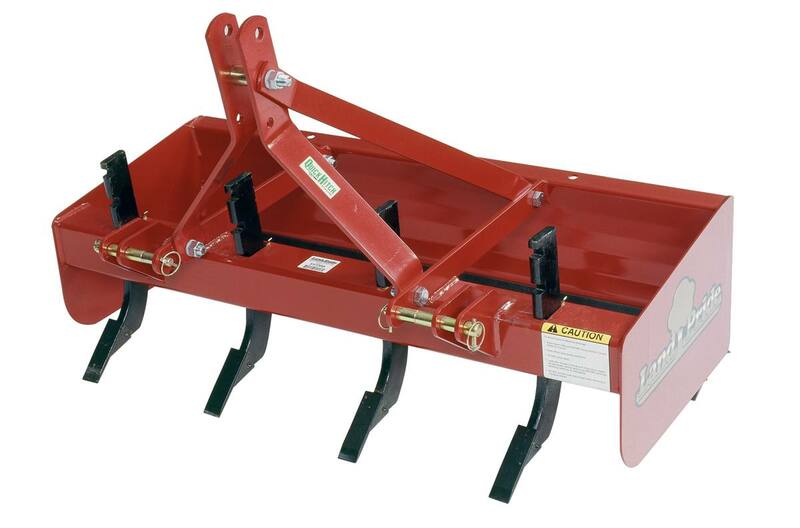 The manually adjustable ripping shanks and the fore and aft cutting blades make these units especially effective and productive for small projects such as grading, light roadway maintenance, and feedlot maintenance. 3/16” Side panels: Strongest in this class. Square tubing shank support: Many competitors use angle iron. Box tubing is stronger. Clevis -type lower 3-point hitch: Much stronger than pin type hitch. 3-Position heat treated spring steel shanks: Offers flexibility for deep to shallow settings and Heat-treated for longevity. Bump-formed moldboard: While scraping, this allows the dirt to roll off the moldboard creating less drag resulting in lower HP requirements and faster working conditions. 12 3/4” Moldboard height: Box Scraper can hold a lot of material. Moldboard: Heavy moldboard with precise roll holds its shape under heavy loads. Heat-treated, dimpled-on tips: Easy to replace tips that are heat treated for toughness. Heat-treated, reversible and replaceable cutting blades: Heat-treated for hardness. Reversible so both edges can be used before replacing the cutting blades. Rear backfill blade: Rear backfill blade allows for backfilling trenches or foundations. Cat. 0, Cat.1 & Cat. Limited with Quick Hitch capability: Fits a wide variety of tractors. Quick hitch capability allows for easy hook-up. Two welded braces extending from front to rear of bucket: These braces help keep the Box Scraper square under heavy loads. Depth of Bucket: 18 1/2 in.